Dramatically improves visibility in rain and forms a chemical bond with automotive glass - unlike other products that simply coat. 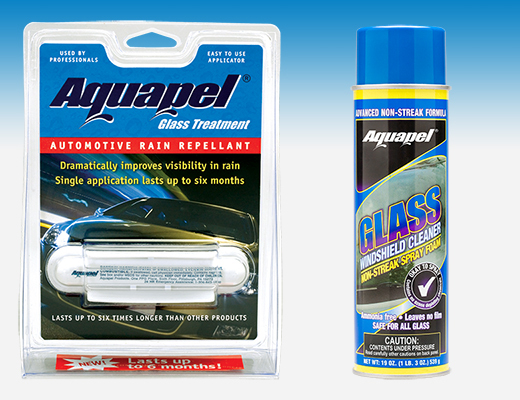 When AQUAPEL ® Glass Treatment is applied to the exterior of vehicle glass, it leaves the surface water resistant. Rain beads up and rolls off, dramatically improving visibility - day and night. One application lasts up to six months - six times longer than other products. This includes the Glass Treatment Applicator and a can of the Aerosol Glass Windshield Cleaner.